Unfortunately, courier service providers tend to get a bad reputation. With videos of FedEx drivers throwing packages into hedges and other big names leaving valuable parcels not-so-secretly under doormats, it’s no wonder there are some myths circling about courier companies. There are many misconceptions out there that are preventing businesses taking advantage of a courier service and reaping the benefits the right logistics company can provide. So, this post is going to disperse five of the biggest myths surroundingcourier services and give you the truth. Let’s get this one cleared up first and foremost. You may have seen videos of couriers mishandling parcels. Yes, even big-name parcel delivery companies can be to blame. But a high-qualitycourier service using dedicated vehicles will handle each of your consignments with care and diligence. At Same Day Dispatch Services, your parcels will be insured and satellite tracked so you can be safe in the knowledge they will arrive in pristine condition. While it’s fair to say that no one understands your products and processes better than you, that doesn’t mean an expert logistic provider won’t be able to understand themtoo. A professional courier service will want to give your customers the service they deserve. As logistics providers, it’s part of our job to understand the specific needs of each client that approaches us. By taking the time to understand your operations, we do our utmost to help build on and improve the service you are already providing. It could be something as simple asstreamlining the picking and packing process that you already employ to minimise losses and damage. A good quality courier servicewill make time to learn, understand and build on the operations of your business. If you have an inefficient system or evenan outdated or stretched system, we can provide a logistical infrastructure to improve on or replace your existing one. Otherwise, we can seamlessly fit into your business model. The logistical process is a complicated one and no one can truly control all the variables that everyday life will throw up. It’s not possible to control the weather or avoid accidents on the road. Equally, other markets and infrastructure cannot be moderated to avoid all issues. As the saying goes, even the best-laid plans of mice and men often go astray, and logistics is no exception. The more diversity you have in your network or infrastructure, the harder it gets to control as many variables as possible. Therefore,many companies try to retain too much control of their processes as they fear something will inevitably go wrong somewhere along the line. The truth is, by partnering with a dedicatedcourier service, you gain access to experts who know how to put your products and customers first. This will let you take a step back and plan for other unpredictable outcomes, safe in the knowledge that your deliveries are handled efficiently. Not only that but a courier company can oftenput you in touch with vendors and customers to broaden your customer base and potentially win more business. What’s more, by having a reliable long term courier partner, you can take back an element of control that you might not have if you were constantly switching between different providers. Maybe you’ve worked with a rapid delivery provider in the past who was underperforming to say the least. Or maybe you know someone who hired a firm that overpromised and underdelivered. It happens. Often, even the big names in the industry can come up short. It’s important to remember not all courier firms are like this. By carrying out proper due diligence on a courier service provider before making commitments, you will be better informed on the service you’re going to get. Make sure you choose a courier service that can commit to the deadlines discussed and has a dedicated point-of-contact should you need it. Knowing there is a person waiting on the other end of the phone takes away the stress and gives you the peace of mind that your courier will deliver what they’ve promised (pun intended). Yes, a professional courier does come at a cost. But the quality of the service provided can help streamline your delivery service, improve the effectiveness of your logistics, reduce spoilage, and improve the supply chain. Overall, an investment in a reputable courier service that understands your needs is an investment in your business. And the returns you’ll see through an increase in customer acquisition and retention should more than make up for the additional outlay. It’s easy to assume that all logistics companies are equal. But nothing could be further from the truth. For example, some will service specific industries and havefacilities to deliver items that are sensitive, temperature-controlled, high-value, large, and more. The more generalised courier services may not have the resources to carryspecialised consignments in an effective, secure way. You may end up having a bad experience if you use a company that claims to offer atime-critical courier servicebuthasn’t got the facilities to respond quickly enough to your urgent delivery needs. At Same Day Dispatch Services, we’ve got the facilities to transport all of the specialised shipments as mentioned above. We work with businesses in aviation, automotive, marine, media & PR, and many other sectorseach of which have very unique requirements. 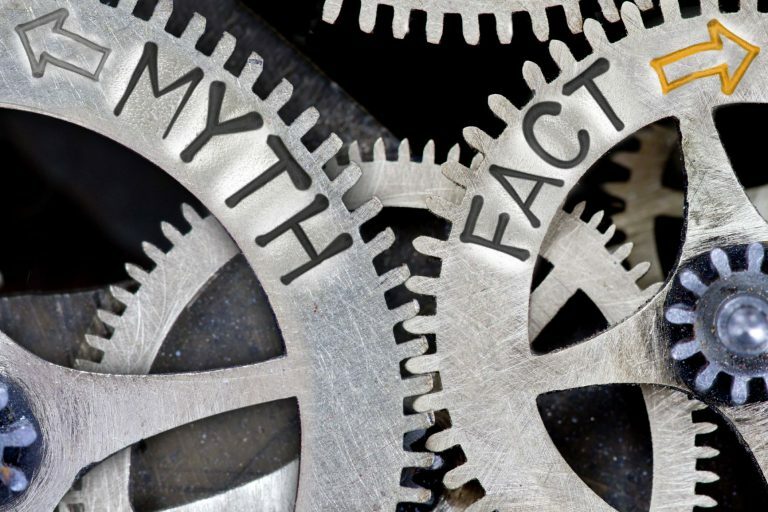 With so many myths floating around about courier services, it’s easy to believe they may not offer your business any benefit. But the truth is some of the most successful businesses in the world have solid relationships with reliable courier serviceswho have helped them to thrive. If you want to talk to one of our team members about how our time-critical courier service could help your business, get in touch with Same Day Dispatch Services today for a quote. Tel: 0800 999 1010. You won’t be disappointed. This entry was posted on Sunday, October 15th, 2017 at 12:38 am	and is filed under Courier Services. You can follow any responses to this entry through the RSS 2.0 feed. You can leave a response, or trackback from your own site.